Globalization is not a local phenomenon, but a condition that impacts every aspect of our lives worldwide. As a dynamic force, globalization perpetuates a borderless world where practices and ideas are shared across space and time, aided by technology, wide mobility, communication, so-cioeconomic relationships, and environmental interdependence. Since globalization affects the economic, social, and political stability of communities that depend on a trained workforce and an educated citizenry for its identity and survival, it profoundly influences higher education, and in particular the community college. 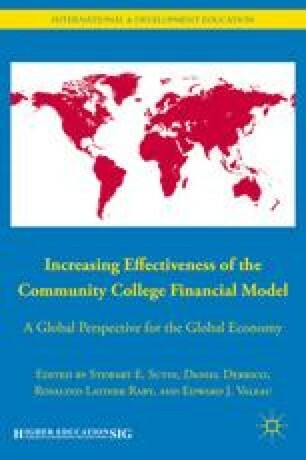 As an identified concept, globalization directly impacts community college institutional mission and curricula that internationalizes the campus and in so doing, supports intercampus, intercommunity, and intercountry relationships as a “requisite seed for internal change that reflects how the institution responses to [globalization] pressures” (Levin 2001, x). Obama, Barack H. 2009a. Remarks Made at a Press Conference to the Grand National Assembly of Turkey, Ankara, February 24, 2009. Available online at http://www.whitehouse.gov. Obama, Barack H. 2009b. Remarks Made at a Press Conference at Cairo University, Cairo, Egypt on June 4, 2009. Available online at http://www.whitehouse.gov.